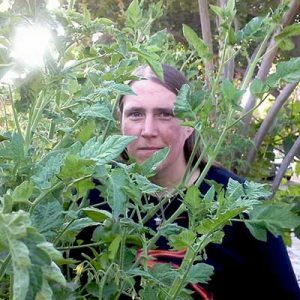 6.1 Q: Can I get sick from removing alternaria-diseased plant material? Are you finding brown, ring-like spots on your cabbage leaves? Perhaps you’re discovering blotches of brown on your tomatoes, or even on your apple or orange trees? You may have alternaria leaf spot. And I’ll help you figure out what to do. Like other fungal diseases, alternaria can be complex in what it is and how it appears, but there are many treatment options that you can use to eradicate it. So without further ado, let’s delve deep into alternaria so you know how to stop it before it does severe damage! Plants Affected Many different food crops as well as ornamentals. Can strike hundreds of plant types. Common Remedies Liquid copper fungicides, powdered sulfur fungicides, Bacillus subtilis. Also prevention of pest-spread fungal matter, removing dead plant matter, using drip irrigation, planting disease-free seeds and resistant cultivars, sterilization of tools, crop rotation. A common fungal disease in many fruit and vegetable gardens, alternaria can appear in ornamentals as well. It’s not particularly discriminatory as to its choice of plant. If the fungal spores land there, and it seems like a good habitat, it will try to colonize. In agriculture, nearly 20% of spoilage can be directly attributed to the Alternaria genus of fungi. In addition, some alternaria species are common allergens to humans, and can grow inside homes. Needless to say, this is a fungus you don’t want to bring indoors with you! And yet, there are some forms of alternaria that aren’t pestilent. In fact, there are studies ongoing exploring the use of specific strains of alternaria fungi as biocontrol methods for some forms of weeds, and they’re showing great promise. Here’s a short list of a few of the most problematic alternaria species for the average gardener or homeowner, It’s by no means a complete list, but it does cover some of the most prevalent types. Alternaria alternata: Causes leaf spots, blights, and rots on over 380 plant types. Can also cause respiratory issues in humans. Alternaria brassicae: Common problem for brassica crops, causes damping off in young plants & leaf spot in older ones. Alternaria brassicola: Also impacts brassicas, causing brassica dark leaf spot. Especially dangerous as it can cause plant death. Alternaria citri: Causes black rot in citrus fruit as it starts to ripen. May be difficult to identify as it does not cause leaf spotting. Alternaria cucumerina: Creates leaf spotting in cucurbit plants, spreads more rapidly in humid or wet weather. Alternaria dauci: The primary causative factor in carrot leaf blight. Often confused with cercospora leaf spot in carrots. Alternaria dianthi: Primarily attacks dianthus-species ornamentals, and is referred to as “carnation blight”. Alternaria japonica: Causes leaf spotting in radish, arugula, other cole crops. Also causes pod spot of radish. Alternaria panax: Primarily attacks ginseng as an alternaria blight. Alternaria radicina: Causes black rot in carrots both in soil and in later storage of crops. Alternaria solani: Extremely common, causing “early blight” in tomatoes and potatoes. 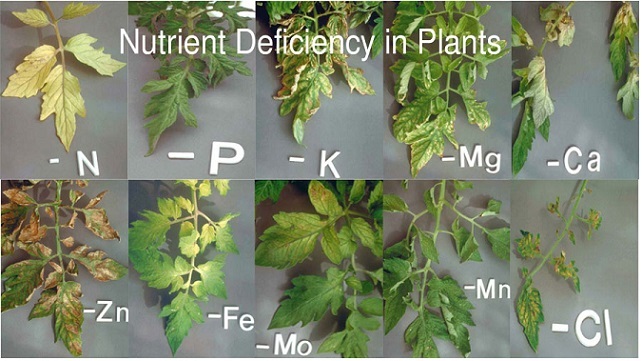 Can cause stem lesions/fruit rot in tomato and tuber blight on potatoes, as well as visible bullseye-like leaf spotting. Causes tens of millions of dollars in damage to agriculture annually. 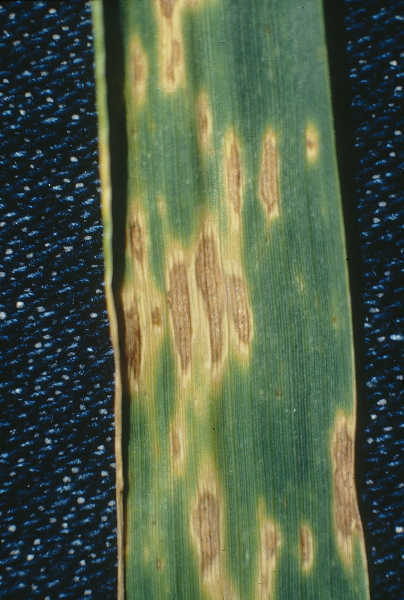 Alternaria triticina: Causes leaf blight on wheat. Very common in India. Alternaria zinniae: Creates alternaria blight on zinnia plants. Other ornamentals may be hosts as well. While the above mentioned alternaria varieties tend to target specific crops, the majority of them are opportunistic. If their preferred host plant isn’t available, the fungus will try to colonize something else, or may remain in the soil or on dead plant matter. While there are some variations, most alternarias follow a similar lifecycle to that of Alternaria alternata. 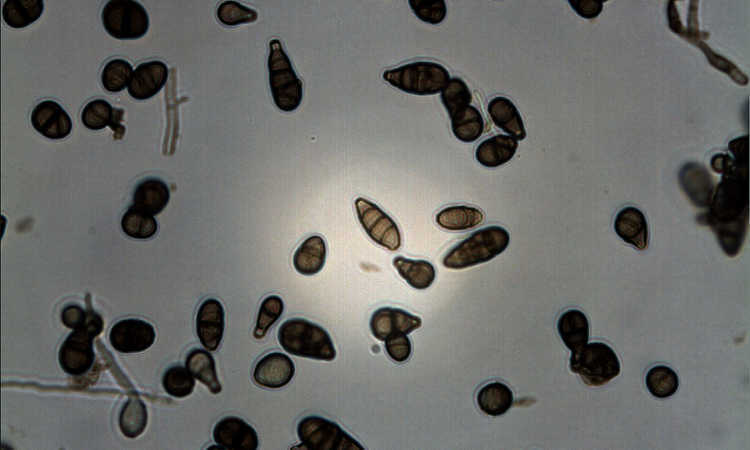 Alternaria alternata creates asexual spores called conidia in the spots of infected leaves. A sudden drop or raise in humidity can trigger the conidia to start falling, and they will be carried by air currents to other plants. Once conidia have landed on leaves, they rest until nightfall and the dewpoint rise. The humidity allows the conidia to germinate, and in as little as 12 hours, the fungus can penetrate the leaf and take hold, beginning to spread. Alternarias which cause other diseases such as fruit or root rots may be spread directly through the tissue of infected plants, as well. This fast-moving fungal genus can rapidly become a problem large-scale agriculture or even just in the backyard vegetable garden. Most people have heard of alternaria leaf spot, even moreso than the other symptoms it can cause. But what are those symptoms? Let’s talk about that a bit more. 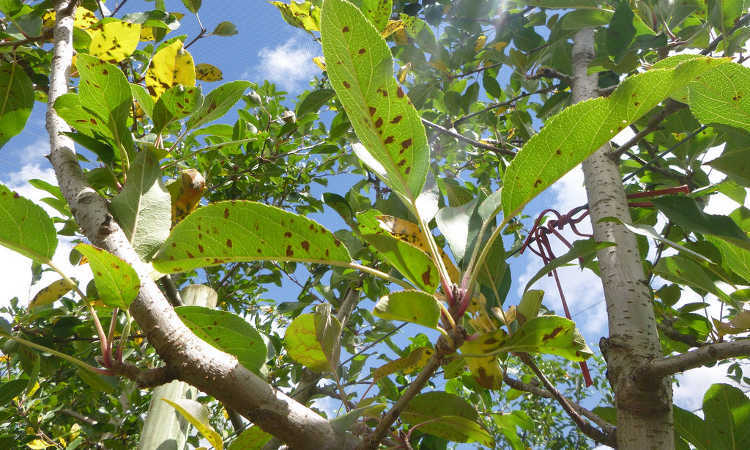 The leaf spots which alternaria species cause are usually the first sign that there may be a problem. 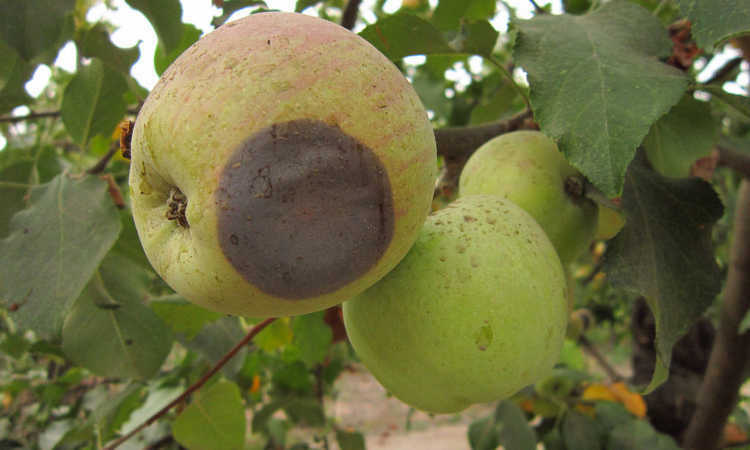 These spots may be yellow, dark brown, or black initially depending on the alternaria species. They gradually develop a concentric ring pattern that looks like a target. Yellow haloes may appear around the spots as they darken, and as conidia form, there may be a fuzzy look to the spots themselves. More and more spots will begin to appear on leaves. The leaves can also wilt from the damage being caused. 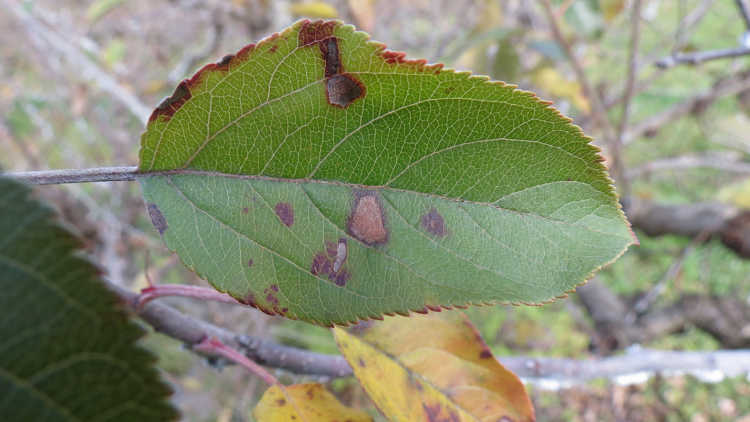 Over time, leaf spots can join into a large lesion that causes the leaf to wither and die. Stem damage in the form of lesions can begin, causing larger areas of the plant to begin to fail. Fruit may rot on the plant or be weak and small. In citrus, a black rot can form that is similar to blossom end rot. Tomatoes form weaker skins and may simply wither on the vine or become susceptible to pest damage. Under the soil’s surface, root crops like carrot may be infected with various rots and can begin to develop blackened rot patches. Even if there is no rot evident at the time of harvest, an infected carrot can develop the rot in storage, so it is essential to check stored produce regularly. In ornamentals as well as in many edible crops, uncontrolled alternaria can eventually kill off the entire plant. These fungal diseases don’t have to be a death sentence for your garden! With a few basic practices, you can greatly reduce the spread of alternaria and other fungal diseases. And there are products intended for its treatment as well. 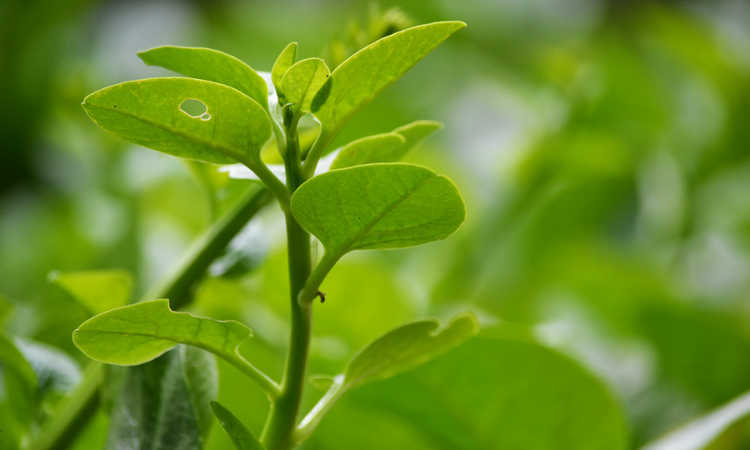 There are quite a few products which are available for treating alternaria. While I’m focusing primarily on organic solutions, there are a number of chemical alternatives on the market if all else fails. But usually, organic options will deal with this disease if used early on. 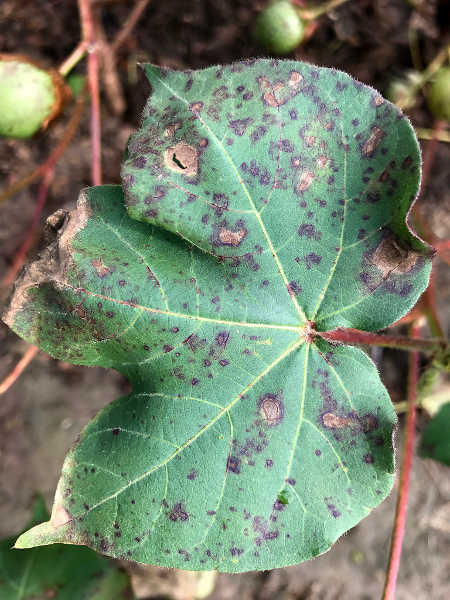 Liquid copper fungicides such as Monterey Liqui-Cop or Bonide Liquid Copper Fungicide are extremely effective for control of many fungal diseases including alternaria. Apply every 7-10 days as needed to reduce fungal growth and spread. If applied up to 2 weeks prior to when alternaria normally appears in your garden, these liquid copper fungicides can completely prevent the spread entirely! A sulfur-based plant fungicide can also help. Cover both the tops and bottoms of leaves with a thin layer of a sulfur-based powder like Bonide Sulfur Plant Fungicide. The sulfur prohibits fungal propagation. Broad-spectrum organic options for fungal control, such as Serenade Garden, will also have great effect. This product uses Bacillus subtilis to effectively control a wide variety of fungal plant disease, including powdery mildew, alternaria, anthracnose, and more. Finally, pests can carry fungi between plants, too. A good preventative for many pest types is neem oil. While it will not control all pests, it often makes for an inhospitable environment for pests to live in, making it less likely they’ll spread disease. Alternaria can overwinter on diseased plant matter. 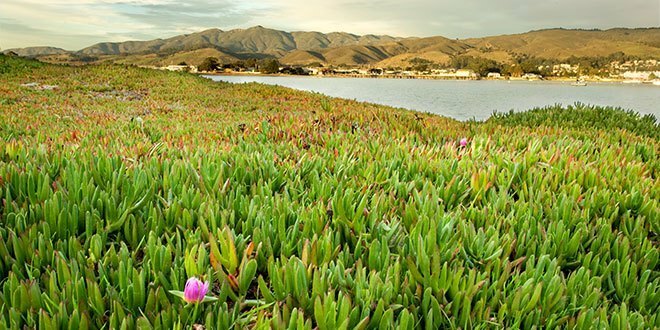 Remove dead plant material and dispose of it appropriately. If you believe it to be diseased, burn it or throw it away. If composted, the conidia may remain in the compost and contaminate the entire batch. This fungus can also overwinter in the soil, so crop rotation is necessary. Areas which have shown signs of alternaria should only be planted with different species that are resistant to that fungal disease. Do not grow the same type of plant in the same location year after year. When pruning plants, make sanitary cuts. Dip your pruning shears into a mix of one part bleach to ten parts water between cuts to sterilize them. Wash your hands entirely between plants to reduce the risk of fungal spread. Use drip irrigation to water your plants. As the fungus requires some moisture to propagate itself, keeping leaves dry can significantly reduce the speed of alternaria spread. Alternaria can infect seeds, especially in fruit which has shown signs of rot. Plant certified disease-free seeds to avoid accidentally starting a fungal colony in your yard. Planting resistant species is also a good idea. While not all varieties of your favorite fruits, vegetables, trees or flowers may be resistant to alternaria diseases, many are, and a large population of these will reduce the likelihood of disease spread. Finally, as alternaria travels on breezes, space your plants appropriately. Too close of a spacing makes it easy for the fungus to jump from plant to plant. Q: Can I get sick from removing alternaria-diseased plant material? 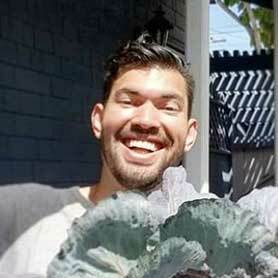 A: If your immune system is compromised, wear a mask while working in the garden. Alternaria species are known allergens, and can cause a number of hay fever-like reactions. In people with immune system deficiencies, it can create asthmatic responses and can lead to respiratory problems. While most healthy people won’t have a lasting effect, you might get symptoms associated with hay fever if you’re susceptible to them. Watery eyes, a runny nose, sneezing or coughing can occur. It may only happen seasonally, particularly when the alternaria is producing conidia. If you’re at all concerned about your sensitivity to alternaria plant diseases, opt to wear a mask while dealing with them. The mask will also help prevent you from breathing in powdered or liquid fungicides you may be spreading, so it’s not a bad idea anyway! 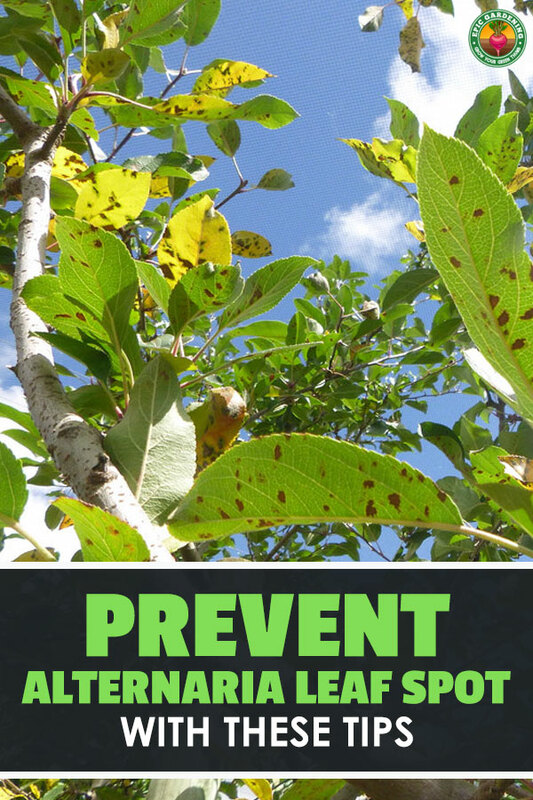 Alternaria leaf spot and other alternaria damage is entirely preventable, and prevention is always the best course of action. But if it happens anyway, now you know how to deal with it! Have you battled against fungal diseases before? 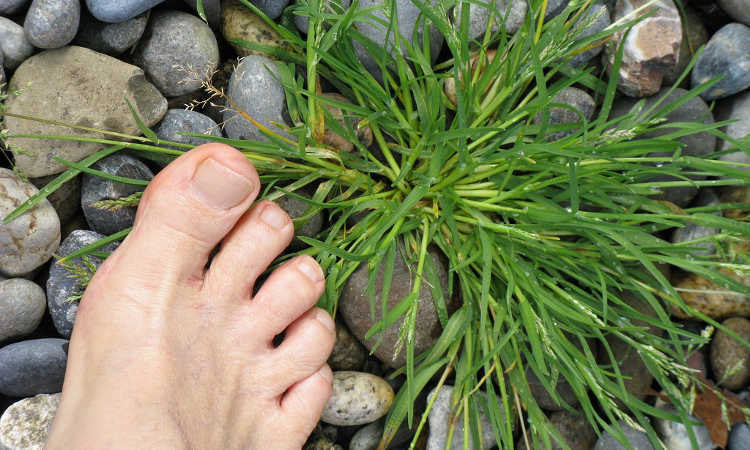 What’s the worst fungal disease you’ve dealt with? Let me know in the comments! Hi my pear and Apple tree look like a normal tree .As you get closer the leaves looks as they are dying. No Apple this year. Pear had a few but still trying to flower then they die . Found wants on both trees leaf curls. My tomatoes are curling the blossoms are dying. How to keep cabbage from pests. Thanks.